Mike Evans is an agent for MI-5. He is described as a compact man of Welsh descent with a square jaw and wide-set grey eyes. His manners protray him as someone of little patience, always on the go or wanting to be. He is highly intelligent with a keen survivor instinct. As the series starts, he has been an agent for quite a few years and is far enough up the food chain to be on good repoire with the head of the bureau. There is some slight, relatively inconsequential confusion as to where he is stationed and for how long. In the first book he is clearly working out of London though he had been stationed in Vienna for the previous year. In the second book it is stated that he had not been back to England for many years. Whatever the truth may be, Evans plies his trade for MI-5 while working in and travelling around mainland Europe with an occasional jaunt to the Middle East when a mission demands. Evans in an undercover operative, blending into the scene as one occupation while performing his covert duties. In the start of the first book he had posing for ten months as a machine-tool salesmen operating in Austria and Germany. As his mission changes, he drops that and assumes the role of a disenchanted agent writing a tell-all book about a traitor from years before. 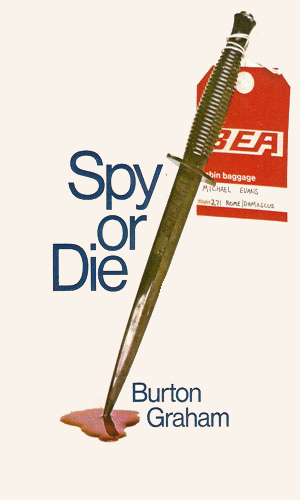 As the second book starts, he has been living in Berlin as a reporter for a British newspaper and he uses that cover for an excursion MI-5 wants done in Syria. Role playing is something he is quite good at. Evans is divorced and the father of a young woman in college who he has seen little since she was eight. He is on very friendly terms with a young American reporter who also travels Europe as she earns her keep. While his star has dimmed since a recruit into the service, picked by Evans, turned defector to the East, Mike Evans is still chosen to investigate the Soviet Department 'S', a KGB directorate responsible for disgracing underground writers. In doing so, he uncovers a manuscript that clearly lays out the aims and methods of the KGB. The death of a fellow MI-5 agent in Syria sends Mike Evans to the arab country to find out what information had gotten the man killed. He finds tensions high between Syria and its southern nation, Jordan with troops massing and the region preparing for war. 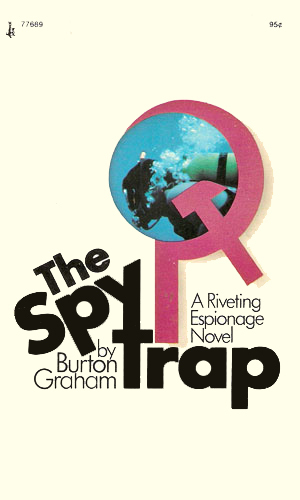 In a very interesting style, Mr. Graham took two true events and molded a plausible story plots around them, coming up with a possibility that made sense and was entertaining. Whether he was close or not is open to conjecture and, this many years later, probably not important. The stories are interesting and the writing is quite good, making for a few hours of enjoyment. Except for my confusion over the state of Evans' living arrangement, I quite enjoyed the two books in the series. Spy craft is definitely the basis for these stories as the action is kept to a minimum and Evans gets to survive more by his brain than his brawn.